Updated: When Will the Riverside Vista Improvement Project Start? 2011! The answer? 2016 or beyond. That’s if you’re talking about actual construction. This year! At last night’s Capital Budget Meeting, Councillor Alan Halberstadt expressed concern about the project not being ready for construction until 2016 or beyond. Director of Operations at the City of Windsor, Mike Palanacki spoke to Council and explained the situation regarding the Vista Project. “Last year or the year before there was a million dollars approved for this project,” Palanacki said. $200,000 of that was spent to add a stoplight to Crawford and Riverside Drive. Council approved an additional $500,000. “We’ll be expediting the process to do as much as we can with the $1.3 million,” he said, and suggested that “actual construction and engineering” will take place in 2011 if the City can “expedite it far enough”. The City of Windsor is all set to begin to acquire land this year for one phase of the Vista Project, the stretch between Lauzon and Riverdale, at a cost of half a million dollars. 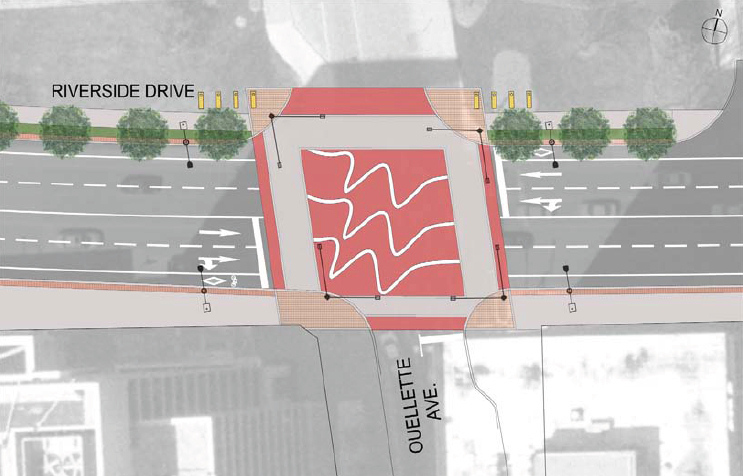 The Vista project, more than half a decade old now, is designed to “unify the visual image for Riverside Drive”, and create a “pedestrian-oriented environment that is safe, accessible, visually pleasing, and comfortable”. Further goals include to “encourage and accommodate the use of alternative modes of transportation such as walking and biking” and to “maintain the visual unity and character of the Riverside Drive Corridor through the use of streetscape materials”. Some of the great perks of the project will include decorative surface material (like patterned concrete, unique stone pavers), decorative ramps and staircases, unique approaches to lighting, the planting of trees, bushes and ornamental grasses, improved pedestrian and vehicle signage to create a “theme”, use of street furniture, and placement of public art along the route. The entire project, from University/Rosedale to Lakeview Drive is expected to cost in the range of $36.7 million dollars, but most of the work is not planned for 2016 or later. 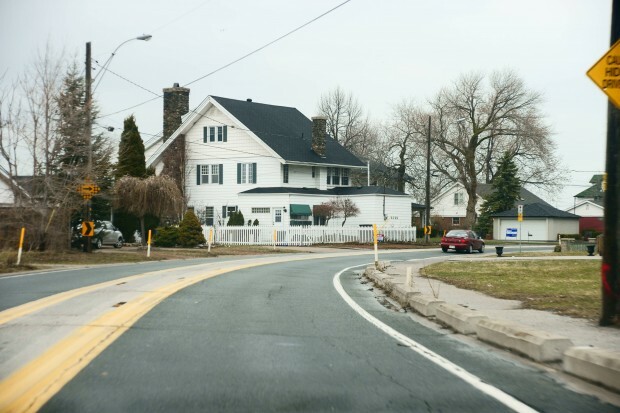 The City’s budget does state however that “Temporary road repairs to Riverside Drive from St. Rose to Lauzon Road will have to be undertaken in 2011”.